The EU economy will enter a fourth consecutive year of growth this year, but recovery could still be jeopardised by global and internal factors, the European Commission said Thursday (4 February). 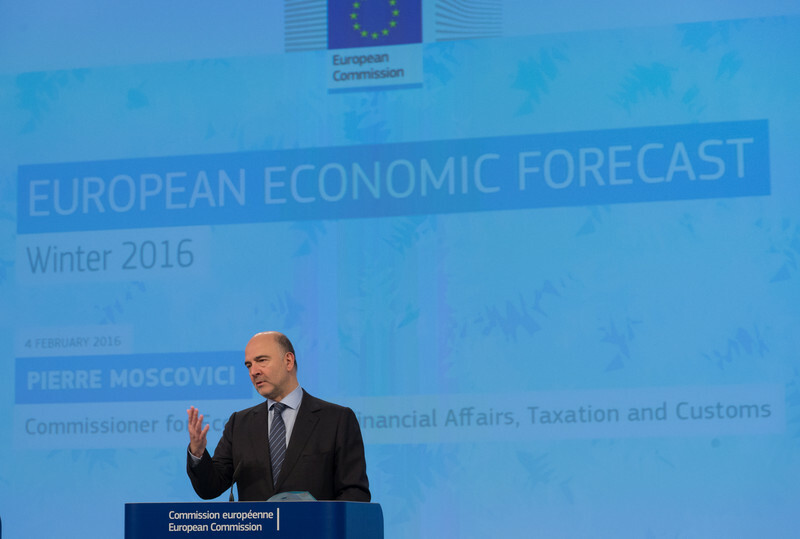 According to the commission's Winter Economic Forecasts, the EU economy should grow by 1.9 percent in 2016 and 2 percent in 2017. This is slightly less than the previous forecasts, published in November, when the expectation was for 2 percent in 2016 and 2.1 percent in 2017. For the eurozone, the commission expects 1.7 percent growth in 2016 after 1.5 in 2015, and 1.9 percent in 2017. In November, the forecasts were 1.6 percent in 2015, 1.8 percent in 2016 and 1.9 percent in 2017. 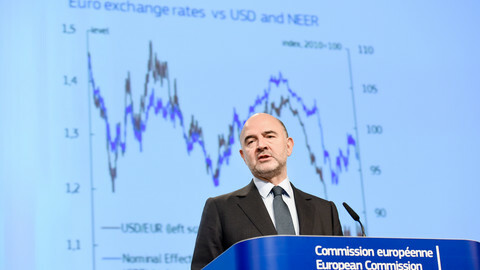 "The European economy is successfully weathering new challenges this winter, supported by cheap oil, the euro rate and low interest rates," economic affairs commissioner Pierre Moscovici said at a press conference. But he warned against "euphoria, which would not be justified" and listed the "crosswinds" that could slow the positive trend: a Chinese slowdown, uncertainties on future oil prices, geopolitical tensions, and "policy uncertainties inside Europe". 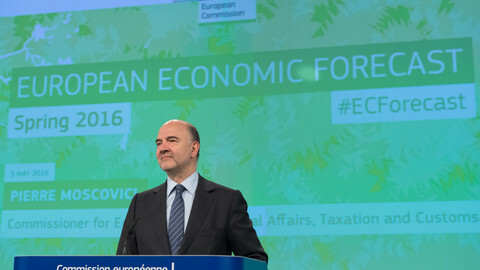 Moscovici did not include the migration crisis, nor uncertainties over the UK's EU membership in the challenges to the European economy. The commission's analysis is that migration and spending linked to the arrival of migrants are "rather supportive of growth", he said. As for the UK question, Moscovici said the commission did not include it in its calculation because it is "working to keep the UK in the EU" and that progress is being made. 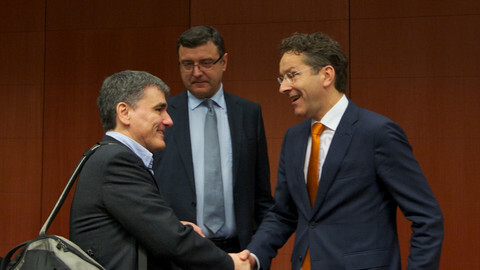 The commissioner, however, pointed out that "there is a high cost for our economies if Schengen was at risk". 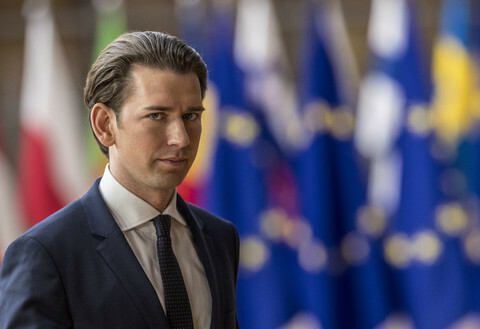 "Breaking Schengen would be a political and economical mistake," he said. In this environment, almost all EU countries will grow, although at different paces according to their debt levels, positions in the economic cycle or exposure to global trade. The EU growth engines will be Poland, with an expected 3.5 percent growth, Spain (2.5 percent), as well as the UK and the Netherlands (2.1 percent). Germany will be below the EU average, with a forecast growth of 1.8 percent. Among smaller countries, Ireland, with 4.5 percent, and Romania (4.2 percent) should record the highest growth rates in the EU. With a forecasted recession of -0.7 percent, Greece is expected to do better than previously thought. The Autumn forecast was of a -1.3 percent dip. Moscovici said that while he was confident Greece would "avoid a relapse", the "key to everything" was the implementation of reforms under the bailout programme, in particular the pension reform. France, Italy, Spain and Portugal will also remain under commission scrutiny. "If no new measures are taken, [France's] deficit target for 2017 won't be reached," Moscovici said, adding that France's partners would not accept a new delay to reduce the deficit under 3 percent of PIB. 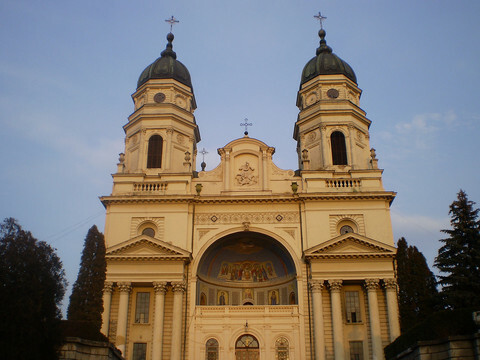 The commissioner said that he expected "serenity, patience and capacity for dialogue" from the Italian side, expressing his irritation by ending with the phrase "tutto chiaro?" ("all clear?"). Italy will stay under the 3 percent bar, but will remain hindered by "high unemployment and limited labour costs". And while Italian prime minister Matteo Renzi had been fighting with the commission on fiscal flexibility, Moscovici reminded him that Italy already benefited from it. 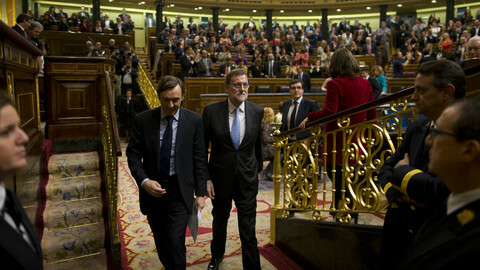 Although Spain will record one of the strongest growth rates, "downside risks to the growth forecast stem mainly from the uncertainty surrounding the formation of the new government," the commission says in its report. To meet its deficit targets in 2017, the future Spanish government "will necessarily have to take measures," Moscovici said. In Portugal, the new leftist government, which vowed to ease austerity policies, recently presented its budget to the commission. 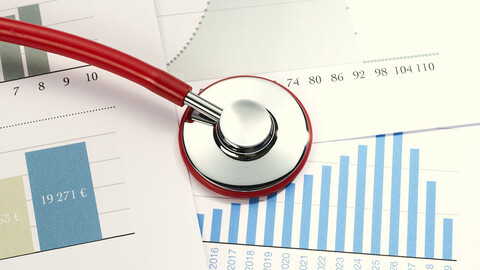 After discussion which is still ongoing, the commission will meet Friday afternoon (5 February) to give its assessment. "Everything must be done so that the budgetary plan respects the stability and growth pact," Moscovici said. As a consequence of the upward trend, unemployment is expected to decrease, from 11 percent of the active population in the eurozone, and 9.5 percent in the whole EU, in 2015, to 10.2 percent and 8.7 percent in 2017, respectively. The last point of concern is the level of investment. "Investment has so far failed to emerge as a strong driver of the ongoing recovery," the commission says. The EU executive, which expects the Juncker investment plan to "start to have a positive impact on public and private investment", also says investment will "gradually pick up" with increased demand, a rise in capacity utilisation rates and improvement in profit margins. 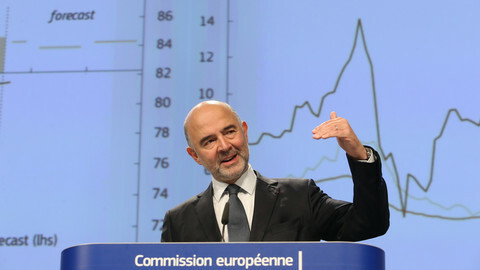 "Member states with fiscal space should try to increase public investment," Moscovici said, in a reference to Germany, one of the two EU countries, along with Estonia, expected to run a budget surplus this year. "Member states that still need to reduce their deficit should pursue a more growth friendly composition of expenditures," the commissioner added. And "all member states should step up reforms that lift obstacles to private investment, he concluded. "We need to use all available tools to increase Europe's growth potential and to ensure a sustainable recovery." The Greek government was forced to accept the IMF's role in the bailout review and was warned that a new liquidity crisis could come soon. Most EU states will post modest growth in coming years, the Commission predicts. But Greece will continue to struggle, while France, Portugal, and Spain could fall foul of EU rules. Annual country reports published Friday afternoon by the European Commission highlight challenges ahead for the EU economy. On just 1.8 percent growth, the commission's forecast is less optimistic than before because of an instable global economy and lack of results of EU reforms.